With the arrival of their streaming service later this year, Disney has a lot of content needs that can't be filled by just Lucasfilm and Marvel. Pixar is also doing their part, and we've learned one of their biggest franchises, Monsters Inc., will be part of a brand new series with some familiar voice stars already on board. 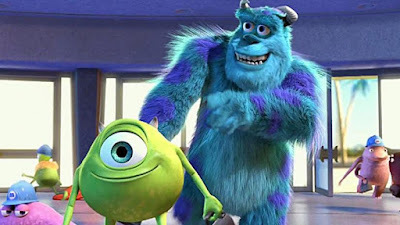 Billy Crystal and John Goodman are back voicing Mike and Sully in a new Disney+ series, Monsters at Work. The show will follow a new character, Tylor Tuskmon, who is voiced by Superstore's Ben Feldman, and reveres Mike and Sully so much he plans to rise in the ranks in hopes of working alongside them. Other returning voices include John Ratzenberger, Jennifer Tilly, and Bob Peterson, joined by new additions Kelly Marie Tran, Henry Winkler, Lucas Neff, Alanna Ubach, Stephen Stanton, and Aisha Tyler.